The Kirby Company has been manufacturing vacuums since the 1920s and has become one of the most trusted brands in the industry. It's also the only company to still sell its products door to door and perform in-home demonstrations. A Kirby door-to-door salesman can't replace the fan in your vacuum cleaner for you, but you can do it with just a few tools and a little patience. Replacing the fan itself is quite simple; it's taking apart the vacuum that is a little more complicated. Remove your Kirby vacuum's power head by first switching the carpet height adjuster to its highest setting. Turn the belt lifter, making sure that the two red arrows pictured on the lifter are pointed at each other. Disconnect the head, and take it off. Remove the bag and handle by first unsnapping the handle by pushing a button on the back of the handle located near the base of the handle. To take off the bag, place your hand on the plastic located at the bottom of the bag, and pull it off. Remove the metal body by simply unscrewing the four medium-size screws that are now visible because of the power head removal. Once the screws are removed, you can easily lift the metal body right off. Remove the front fan cover plate using a Phillips head screwdriver to remove the five screws located on the front of the plate. Once they are removed, the fan plate should pull off. If it doesn't, gently pry it off by wedging the screwdriver between the plate and the base. 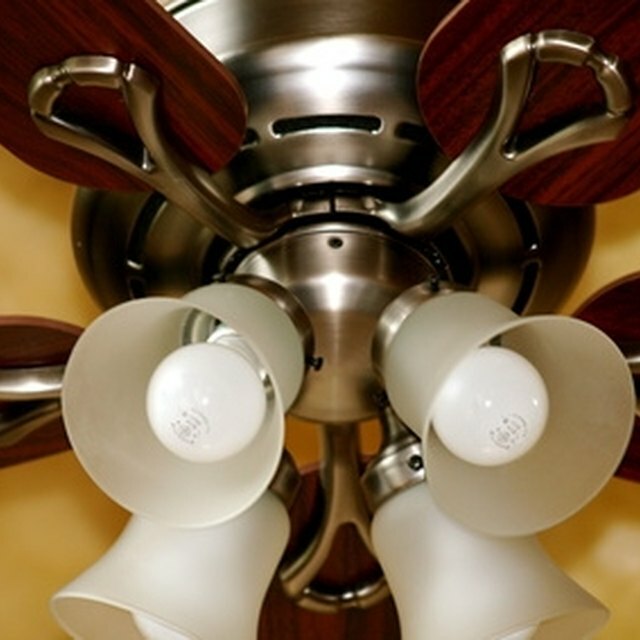 To remove the old fan, clamp a pair of vice grips on the pulley to keep it from moving. Attach a 9 mm end wrench to the motor shaft; this will ensure that the shaft won't spin. Turn the vice grip, which will un-thread the pulley, and pull off the old fan. Put the new fan on, and put the Kirby vacuum back together. Plug it in, and test it to make sure it's working properly. When you are replacing the fan and are putting the vacuum back together, don't forget to realign the arrows as you did in step 1. Never perform any type of maintenance on your vacuum without making sure it is disconnected from all power sources.